How Can We Be Generous With Health? We have all heard the sayings, “The greatest wealth, is health,” or “An apple a day keeps the doctor away.” Here in the United States, we are privileged to be able to go to the local market and buy bags of apples and other fresh organic vegetables and fruit. We can cleanse our bodies from sickness, and focus on wellness. Where we live (in Western Civilization), is such a gift. Sitting in church on sunday, I ended up being inspired by the message of generosity and ended up taking a lot of extra notes, for this blog post in particular. In this blog, I have mostly talked about protecting our own personal health and the health of our family, since we live in such a toxic environment, and as important as that is, CONVICTION took ahold of me. You see I have mentioned traveling in previous posts. Yes, I studied and lived abroad in Italy for a bit, but one of the biggest and most profoundly life changing experiences I’ve had, was traveling as a missionary to Cambodia and Thailand. Traveling to a third world country where we were serving, holding, and playing with orphans and widows who were HIV infected, worshiping God, yes singing praises to Jesus with tears running down my cheeks, in the middle of a dump, because families and kids LIVED THERE and we had a medical clinic set up, scrubbing scabies off of children, and passing out medicine, and other basic necessities such as a bar of soap, were some of the things we did. How could I ever forget? This was the dump. The homes of families were to my left and mountains and mountains of burning trash to my right. We found the spirit of God right in the center. No, that experience changed me forever. I still have a deep passion for others over seas. We do not have poverty here in the states, like it is in other countries. Here we CAN focus on fitness, diet, eating clean, eating for wellness all the things I am passionate about, however we are blessed. So blessed, that we can bless others. We can bless them with food and clean water. We can help to change the lives of other kids and families world-wide! We can give them their health back, because it is true, “The greatest wealth, is health.” Without health, or food on the table, we have nothing (except Jesus of, course!). This little one stole my heart. He was covered in soot, from living in the smoke-filled landfill. As Americans, or those of us who are blessed with a roof over our heads and food on the table, I feel that we are PRIVILEGED. We have been blessed beyond measure. For those of us who love and want to serve the living God, we are called to live a generous life. Generosity is basically the opposite of selfish. To show one generosity is to be HAPPY to give to or share time, money, food, or anything else with others. This is not something that comes natural. We are born selfish and to think only of ourselves. I see this in my kids, especially. I’m constantly telling them to share with their friends and each other. I know overtime it will get easier and they have to learn to trust others, each other, and especially Jesus that he will provide for them. I too, love to give, but I’m always praying for God to give me a more generous spirit to give MORE. More time, more things, more food, more opportunity to give to those who need more, than I. My pastor wrote, “God deals with us the way we deal with others. The generosity we receive from God is related to the generosity we give to others.” Don’t we all want God to be generous with us? I sure do! God has blessed all of us, so we can bless others. But before we can bless others, we need to be following Gods design for us… his priority list! This is a daily challenge for most of us, but the Lord calls us to put him first, not our job, not our kids, not our spouse… HIM. When we put him first in our lives he can bless us, and then we can be a blessing to others. He wants a personal relationship with us, to spend time with us each day! Do you believe The Lord will take care of you if you help the helpless? Giving to others requires faith, faith that God will still take care of me. How Can I Be Generous With Health? There are many organizations that provide families with food and clean water. There are some right where you live, and some abroad. We love World Vision and currently sponsor two children and have for the last five years. Here, all we need to do is turn on the faucet for water (although we should still use a filter). In some places kids need to walk miles every day for a drink, and the water may not even be clean. The Water Project, brings clean water to villages world wide. Through your support we invest in proven partners who are drilling fresh water wells, providing sanitation and hygiene training and constructing other sustainable water projects. There are so many organizations out there to not only give with finances, but your time. Find a local soup kitchen, play with sick children at your local Children’s Hospital and pray for them. Pray for the Lord to guide you to the right one. Three last thoughts to ponder… and pray about! 1. When I take care of them, God takes care of me. 2. I can be generous, knowing God’s got my back. 3. Always be generous in ways that give glory to God. My prayer is for all who read this, to not only care about our own health, but the health of others and that we will learn to live a life of generosity. God calls us to be generous with health. God bless you all! Do you have a favorite Charity that helps others with their health and/or quality or life? Please share with our readers! 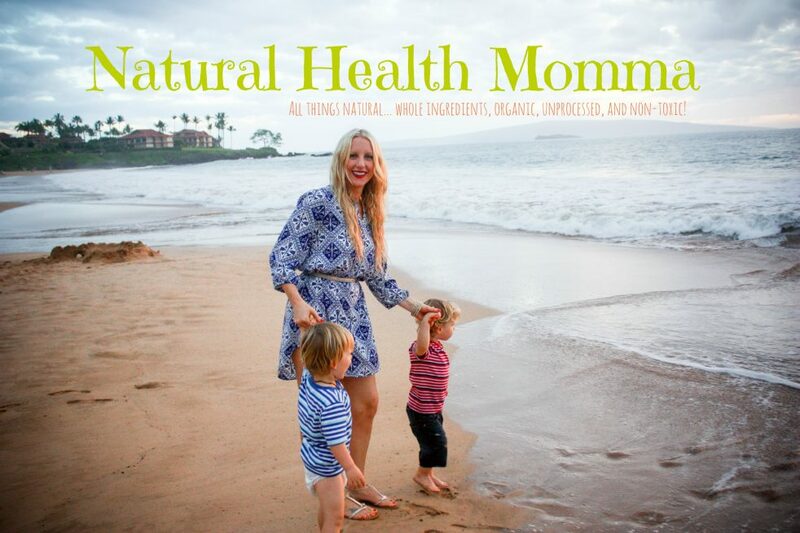 Keep it clean, keep it natural… from my natural health blog to you! Previous Post Best Ever PALEO Chocolate Chip Cookies…Deceptively Nutritious! Next Post What Are The Best PCOS Supplements For Battling My Symptoms Naturally?